I’m super excited for the start of every season because it’s the time we add new, trendy stuff to our closets. If that isn’t already enough, spring gives us one more reason to be happy, since it’s the sign that summer is not that far away anymore. To me, the winter to spring is my favorite transitioning phase when it comes to fashion. It’s something that can easily be seen in the way I put together my outfits. Brights, florals and pastels are all coming back! If you want to discover my favorite winter to spring fashion pieces, keep reading! The best part? They are all under 100$, so you wouldn’t want to skip this post without checking them out first! These transitional pieces will come in handy in situations when the weather is uncertain and at the same time will prepare your mood and wardrobe for spring. In spring the weather is very unstable and has many “mood swings” throughout the day. At first, you leave the house with a simple tee and then you might need a coat to throw over. With that being said, you can never go wrong with a lightweight pastel jacket to have all day with you. Don’t be hesitant of the color because you will be able to wear it until the start of fall. 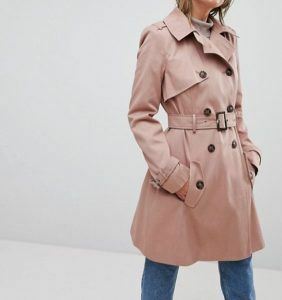 It can be a blazer, a leather or a bomber jacket and in case you are feeling a little extra a trench coat or a duster. Tulle skirts are massive this spring season. You can start wearing them now, to give that feminine, dreamy vibe to your look. Don’t reserve them for weddings and special events anymore. You can go for casual combos and pair your tulle skirt with sneakers and simple tees. Minimal effort for a great look. Sounds good to me! A great way to slowly transition from winter to spring is with bold accessories. 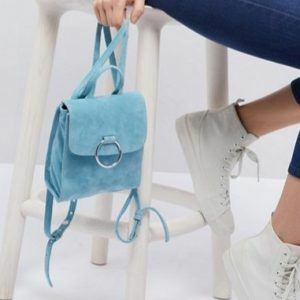 Bright, colorful bags can give a fresh springy touch to any of your neutral looks without any effort. They add a pop of color and make you excited for the sunny days to come. Start investing in your spring bags now. You’ll wear them during summer too! Ok, I know there are some that hate them, but they are huge this season, so it’s time to accept their existence. 😛 They are the perfect shoes when it comes to transitioning your wardrobe to spring. It is like sandals and boots had a baby and mules is the result. 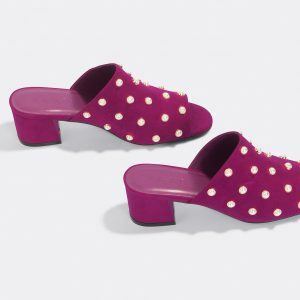 They look really nice paired with cropped jeans and midi skirts and for me are the perfect spring shoe. I have an outfit post where I’m wearing mine here. Same applies to loafers. 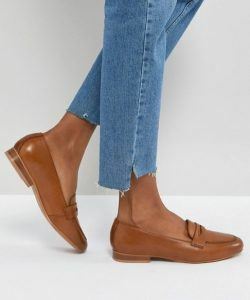 They might not be the most feminine shoe that exists out there, but no one can deny that they have a magic ability to tranform any outfit from plain to chic. Tan, black or colored, it’s up to you. Don’t forget to be fearless and wear them with pride. The best thing is that they are fancy and comfy at the same time, so it’s definitely worth it to invest in a pair ASAP. It will be your go-to shoe for this transitional season. For more inspo you can see how I’ve styled mine here. 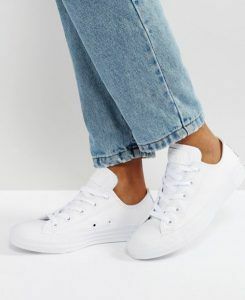 Ok, I admit I love wearing my white sneakers all year round, but the cold makes me reach for my boots. However, for spring, they are an absolute must. The athleisure look is still trending, so you’ll be able to rock them with tailored pants from 9 to 5 or with simple gym tights in your days off. The choice is yours, but remember to clean them regularly, because they get dirty all the time. My two favorite pairs are the classic Adidas Stan Smith and the Converse Chuck Taylor, but there are million of choices out there. Go get some cprisp white sneakers and live your spring days in comfort! You might don’t feel like it, but I dare you to trade your black blazer with a white one. 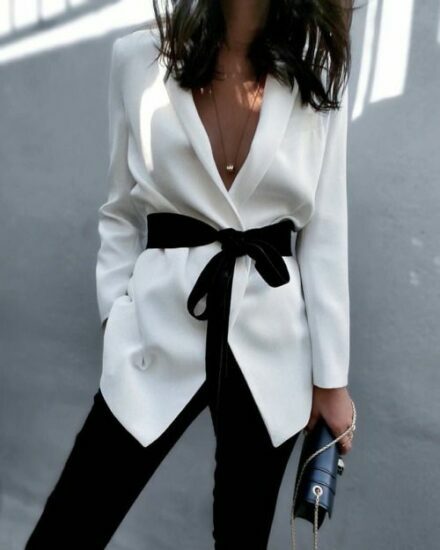 Swaping your all time classic black blazer sounds intimidating, but I personally enjoy having a white blazer in my spring closet instead of the classic black one. It gives a fresh and stylish twist to any of my looks, it’s easy to pair with anything and can be worn from running errands during the day to a night dinner. I have an outfit posted from the previous spring season and the blazer is still relevant and up to date. Tell me, how can you resist to this fresh, crispy white spring garment? So, that’s it for today! I hope you enjoyed reading about my top 8 winter to spring fashion essentials for this season. If you have any spring staple you can’t live without, feel free to share it in the comments section below. For updates and new post notifications don’t forget to like my Facebook page or subscribe to my newsletter! Me encanta la selección que has realizado, cada pieza me encanta y a preciosos bajos. I am excited too about the start of the spring season. Spring is my second favorite season of the year, next to autumn or fall. Why? Because ti’s the season that I love to wear bright and pastel colors and be more trendy. Winter is almost over and yeah, I’ll be missing my boots, coats and turtle necks. But I am more excited to rearrange my wardrobe with my favorite spring outfits. 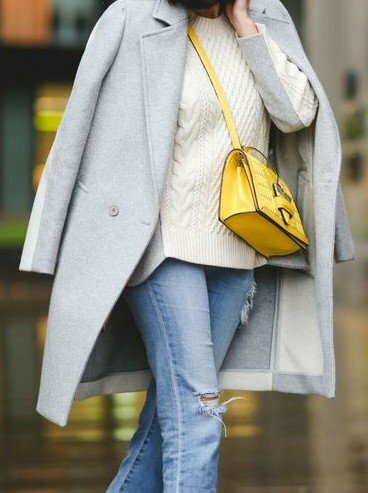 These winter to spring fashion outfits under $100 are so neat. My number 1 pick is the lightweight pastel jacket and at it is affordable at $87. 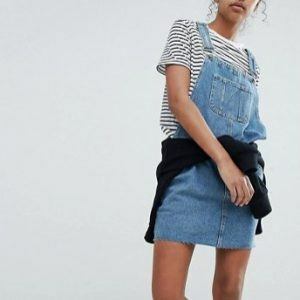 The dungaree dress looks cool too. I saw one of my favorite local celebrities wearing it on a reality talent show on TV and she wore it with one strap down, which I think looked very trendy. By the way, do you have any idea which color is “in” this spring 2018? I know, it changes every year. I’ll miss my boots too, however, I’m really excited! The color of this springs is lavender and we will be seeing it everywhere, so you can start adding pieces colored in it to your wardrobe. Also, brights and pastels as always! Thank you for sharing your thoughts! Lovely picks dear! Yes, trench coat is definitely a must-have for spring. It’s such a versatile piece. Also, tule skirts are so pretty! Dear Jessica! 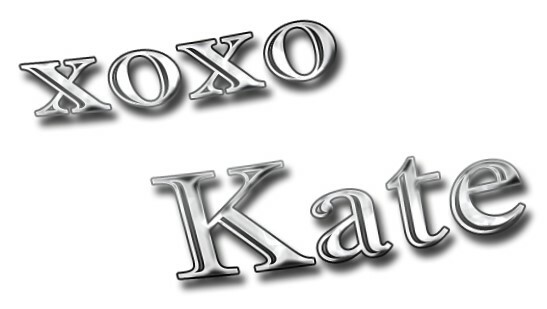 Thank you for taking the time to read the post!